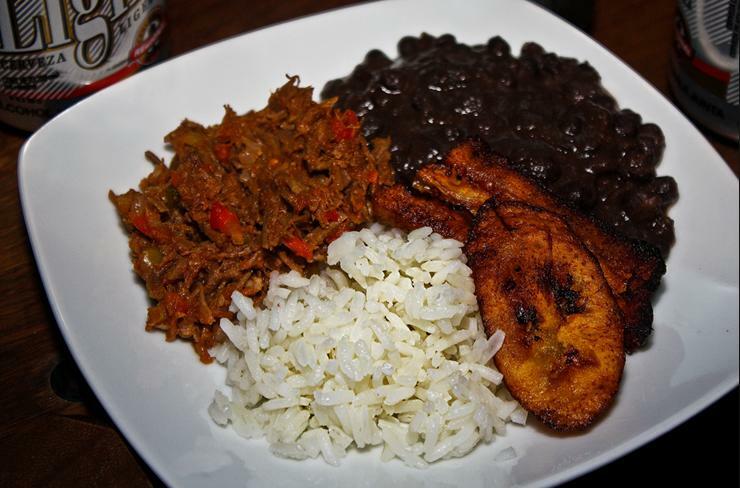 Warning: The criollo elements of this pabellon may differ. For quite some time, the Chavernment has sold us the premise that Venezuela is pretty strong in food sovereignty. But in the last few weeks, the wave of shortages has put that concept to the test at home, forcing Vice-President Nicolas Maduro to get personally involved and launch a new plan in response. Those caraotas in your pabellón criollo (one of our main national dishes) are probably not that criollas. Neither is the white rice, which may have come from the Empire itself, or the meat needed to make shredded beef, thanks to the almost 200% growth in foreign imports last year alone. National producers cannot even get close to compete in the same levels. What about the plantain to make tajadas? Well, it could still be criollo after all, but local production had some setbacks and now we have to share some of that with Russia. Even if the Chavernment insists in denying it, its policy of bringing in massive food imports has undermined the so-called “sovereignty” and hurt our domestic sector. Instead, the partners in Petrocaribe, ALBA and Mercosur are reaping the benefits of those sweet “oil-for-stuff” deals. And then, I realize that Quico’s definition of the Maduro Doctrine also applies here. Does the current food policy match those guidelines? Not really. In the end, they are just simple formalities.